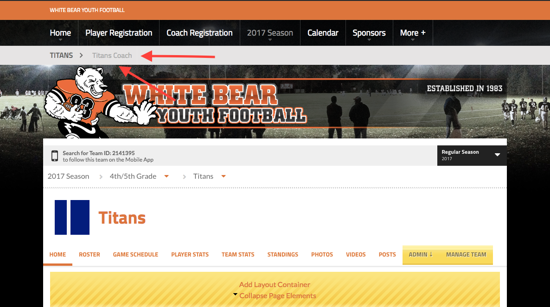 In an effort to automate the setup process and keep clean records this season, we've setup a new report for you to view your roster information. So that we can keep the information private, each of you has been granted access to a private page for your team. 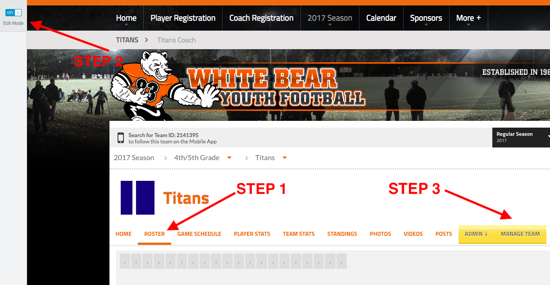 When you click into your team page, you will see a page at the top of the screen appear with Team Name/Coach. This page is only accessible to you the coach. It will contain a report of the specific information for your roster and is available to export as a CSV/Excel File. Please Email Mike Mason (wbyf.mike@gmail.com) if you have any questions. Once you have decided upon the roster numbers and positions for your players. Please make sure to add these to your roster page on your team page. On this page you will find information (guides, links and videos) about popular topics on the SportsEngine Platform. Key help topics include helping coaches and parents manage and follow teams and topics helping parents set up their accounts and get messages. SportsEngine offers an in depth help center with help documents and videos at help.sportngin.com. In addition, there is a thriving community where we provide practical use cases for features as well as a place to ask questions and get tips form other organizations on the platform. Go to community.sportnign.com to explore the community site. If, after reviewing the information on this page and help.sportngin.com, you can't find your answer, please contact SportsEngine directly at help@sportngin.com.